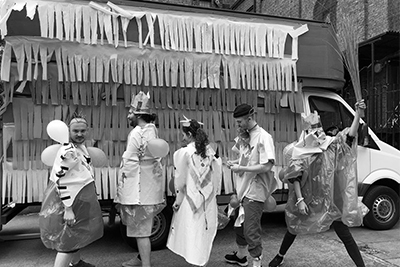 Curated by Naz Balkaya and co-organised by Performistanbul, Episode 1: No Worries will present pop-up exhibitions facilitated in the van, which will be parked in front of LADA and Enclave Lab. Each day of the exhibition will feature a different curatorial concept around the debates of post-feminist resistance. 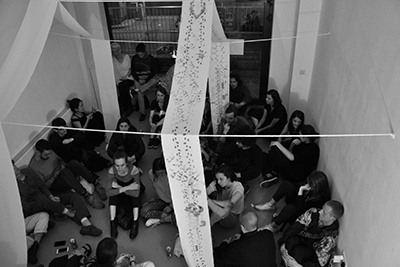 No Worries was the first episode of a series of exhibitions, aiming to use the first exhibition as a strategy to create a safe space for emerging artists enabling them to contribute to various artistic networks. 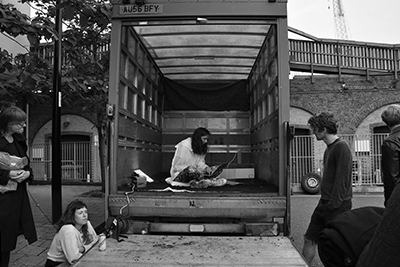 For this reason, the van will park in front of the galleries and organisations that support the emerging artists and the contemporary mind without incorporating the injustice of the post-capitalism. The intention of the exhibition is to create a network and reach out wider audience by interacting with the different audience of the each venue as well as to reduce the gap between art and public by connecting with the street and different neighbourhoods. In order to achieve this, performances will also be showcased on the streets aiming to trigger communication between the artists and the community and engage with the public. 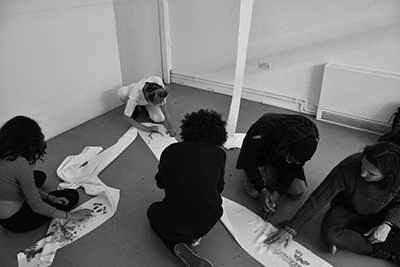 The second activation of the exhibition entitled Situations, was inspired by Hannah Black’s recent collaborative book ‘The Situation’ (2017). ‘The Situation’ illustrates a censored conversation between Hannah Black and her friends around the debates of violence against blackness, patriarchy, racism, colonialism and the gap between subjectivity and collectivity. In a similar way, the second day visualises the censorship that institutions impose on the artists. 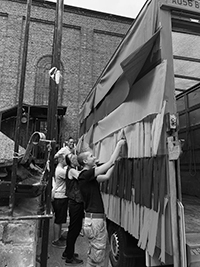 Namely, the second resistance is liberating institutional dynamics and suppressing the ways of looking at stereotyped, rigid and old methods and roles that have been used within the governance of the art institutions. Situations showcased collectively produced performances by Emilia Demetriou, Demelza Woodbridge and Vasiliki Antonopoulou. They produced a flux of happenings by performing one after another and merge at the end.